Our patients remember the circumstances of learning their HIV test results. One woman had her blood drawn at the factory where she worked. She didn’t know the purpose of the test. Thirty minutes later, the nurse told her she was HIV-positive and had a month to live. A male patient learned his HIV test results were shared by the health worker in his small village causing painful stigmatization by some of his neighbors. Fortunately, these patients found Siempre Unidos and are healthy and receiving treatment and social support. Siempre Unidos ensures the confidentiality and privacy of its clients during HIV education, testing and counseling. 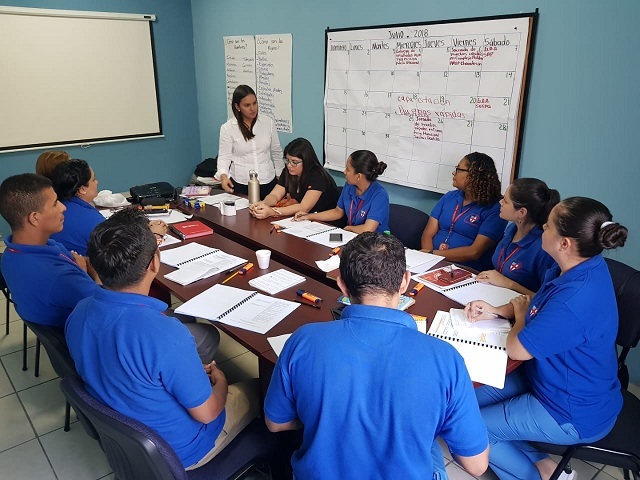 Earlier this year, Secretary of Health staff provided training to our nurses, social workers, therapists and health educators to brush up on their skills or certify new testing counselors. Thank you for supporting our work to provide people access to confidential HIV testing, counseling and treatment.